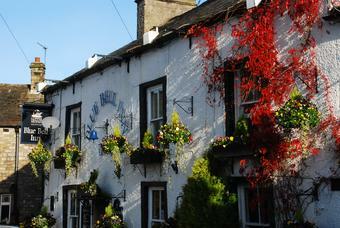 Best pub in Kettlewell by a country mile. Food has to be tasted to be believed! We had a lot of excellent meals in Yorkshire and this was the best. Beers were excellent too - about five on and we had a mixture of the Yorkshire Dales Brewing Company and Black Sheep. Excellent. Stayed for a weekend, staff very friendly and helpful. Good choice of beers and room to sit down even if not eating. The breakfasts were huge, didn't need to eat again for the rest of the day. Room a bit tired but they are in the process of renovating. Only negative was trying to get in and out of the guests carpark! 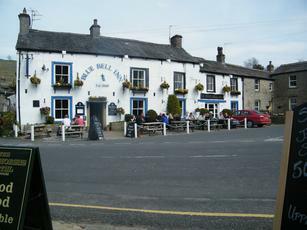 Stayed in Kettlewell for a week in July and visited a few times. Beers are good, food average (some main courses looked a bit tired but the accompanying plates of fresh veg were excellent!) The tables were not too clean, . Like Eastendminder we found mine host quite inebriated one night and he was being quite abrasive to customers and staff. The Racehorses Hotel across the road is much better for food and the prices are competitive. Lovely pub in lovely setting - shame that the hosts appeared under the influence, would not visit again.